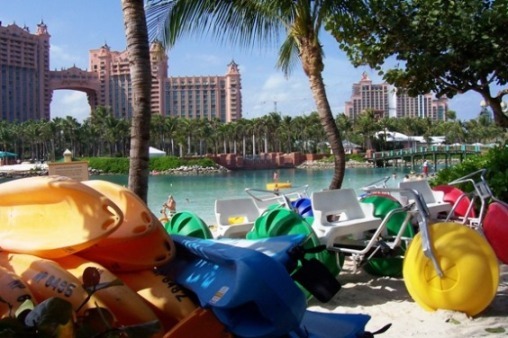 For an additional fee, Blue Adventures rents water toys for fun and frolic in the lagoon at the Atlantis Paradise Island resort. 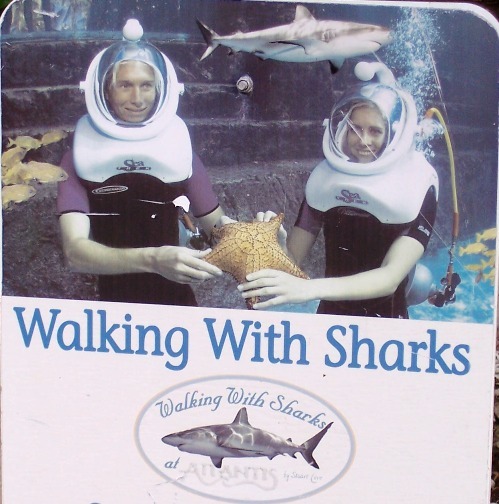 For the more adventuresome, snorkeling, SCUBA, and personal submarine excursions create extraordinary experiences that will become memories for your whole life. 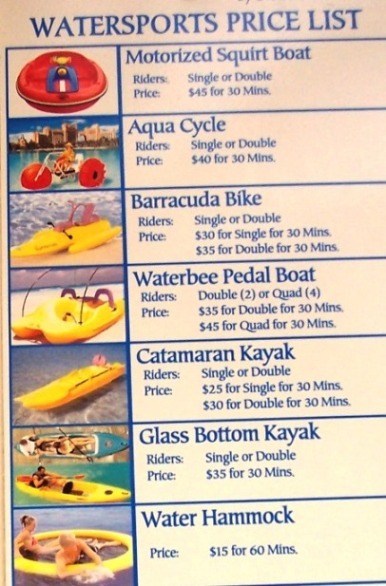 The following Blue Adventures price list was valid as of January 2009. The pictures on the price list clearly show what you're renting. 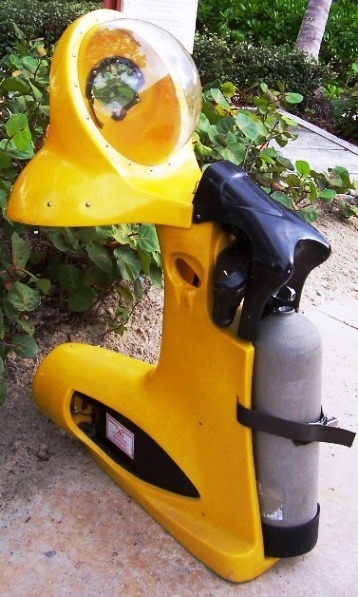 The personal submarine is left on display next to the water toys rental shack.